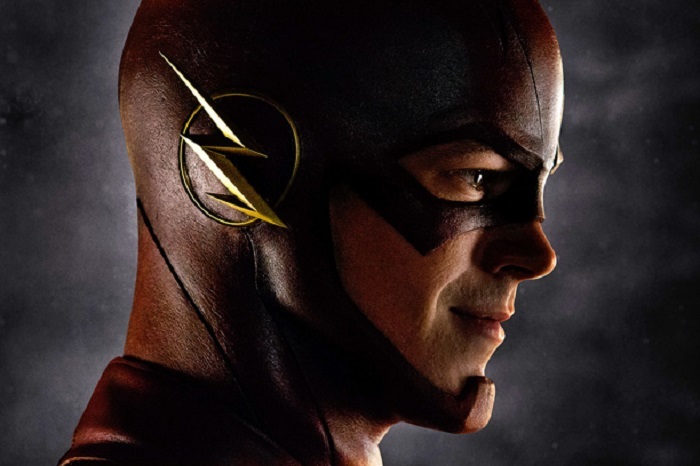 First Look At Grant Gustin As The Flash! With shooting scheduled to begin this weekend for “The Flash” series, Warner Bros. has given us our first look at Grant Gustin in the Flash costume he will be wearing in the pilot! The costume was designed by three-time Oscar winner Colleen Atwood, who also designed Oliver’s costume on “Arrow,” and while the photo is just of his head, it still looks to be a pretty faithful representation of the classic Flash costume we all know and love, and was a smart decision by Warner Bros. to reveal the first official image of the Flash before any leaked photos of the costume hit the internet while they’re shooting the first episode. Barry Allen’s appearance on “Arrow” earlier this season were some of my favorite episodes of the entire show, and made me really excited for “The Flash” spin-off series. And now with our first look at Barry in costume, my excitement for the series has gone up even more! “The Flash” is scheduled to premiere this fall on The CW. Arrow Barry Allen Grant Gustin Oliver Queen The CW The Flash Waner Bros.
Wouldn’t leather be the least practical material for a speedster? Tags: Arrow / Barry Allen / Grant Gustin / Oliver Queen / The CW / The Flash / Waner Bros.